2016’s horror movie year has come to a close. Year after year, we see hundreds of new horror movies released. From certified originals to remakes, from B movies to cliches, horror movies have been a dime a dozen. 2016 was no exception overall, but there were a few that truly stood out. Many astounding spine-tingling movies came out. Here is a list of all the best horror movies of 2016. Best Horror movies of 2017 & 2018. Vincent Masciale helms Fear, Inc. a comedy horror flick from the screenplay of Luke Barnett. It was produced by Lone Suspect and was released in the US in October 2016 for a limited run. Masciale and Barnett are joined by Natalie Masciale and Heather Kasprzak as producers. It was given an R rating for its violence, language, and drug use. It was panned by critics and audiences for failure to deliver any chilling or riveting scene. It only came off as a bad copy of Scream. 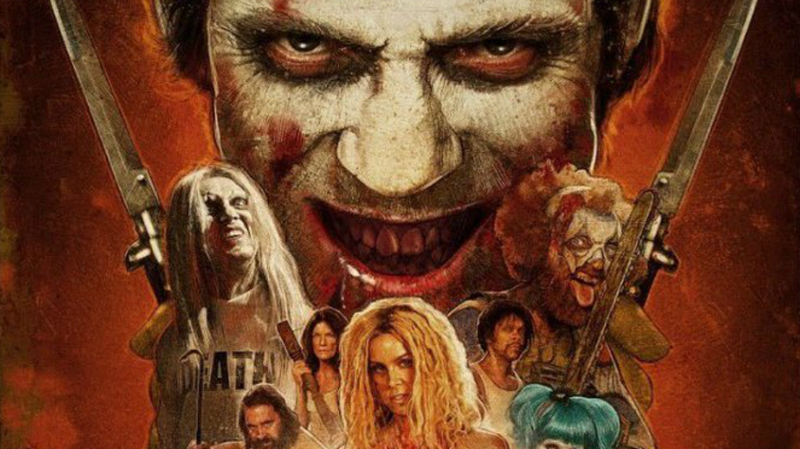 Rob Zombie writes and helms 31, a horror thriller set in the 70s. Bow + Arrow Entertainment, PalmStar Media, Protagonist Pictures, Spectacle Entertainment Group, and Windy Hills Pictures produced the film. Saban Films handled the distribution and the horror flick ended up earning a dismal USD 850,419. Zombie raised the finances for the production via crowdfunding at fanbacked.com. The movie took USD 1.5 million to be produced. When Zombie came out with a teaser poster for 31, many speculated about the storyline. Zombie explained that the movie’s title is based on October 31 or Halloween, when most people go missing. Zombie shares that he was inspired to write the movie as he saw some employees wearing clown outfits at his Great American Nightmare frightfest carrying chainsaws. From the screenplay he co-wrote with Christopher D. Ford, Jon Watts helms Clown, a supernatural horror movie. From a budget of USD 1.5 million, it grossed USD 2.1 million during its theatrical run. It was distributed by Dimension Films and FilmNation Entertainment. Watts and Ford uploaded a fake youtube video about the movie as early as 2010, name-dropping Eli Roth as a producer. Roth found the video funny and bold. Two years after, Roth eventually signs on one of the producers of the film. Roth also appears as Frowny the Clown in the film. From the screenplay of Stacey Menear, William Brent Bell directs The Boy, a US-China supernatural horror co-production. With a budget of USD 10 million, it earned USD 64.2 million at the box office. STX Entertainment handled the distribution. Originally entitled The Inhabitants, it was later changed to The Boy prior to filming. Lauren Cohan, of Walking Dead fame, stars, with Rupert Evans. The film was supposed to come out in February 2016, but a year prior, it was moved up to January 2016. Critics gave mixed reviews, some lauding the film’s creepiness and sound storyline, while others didn’t get the film. Jason Hada helms The Forest, a supernatural horror flick, written by Ben Ketai, Nick Antosca, and Sarah Cornwell. With a budget of USD 10 million, it was well-received at the box office, earning USD 37.6 million even though it was panned by critics. Gramercy Pictures and Icon Film Distribution took care of the US and international release respectively. Producer David S. Goyer came upon an article about Aokigahara, a real forest in Japan. Seeing that no horror film was inspired or based on it, he came up with a story outline. He pitched it to Hada who was instantly struck by the idea. 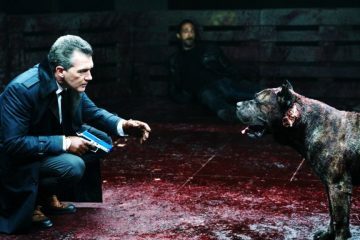 While principal photography was done in Japan, most of the forest shots were done in Serbia, as filming in the Aokigahara forest was prohibited. Critics panned the film for not being scary at all and called out the screenplay as the problem. Hada’s directing and the cast’s performance were given credit but the film failed to deliver on its promise of scares and horrors. Rich Fox edits and films the documentary The Blackout Experiments, based on experiencing Blackout Haunted House. The horror documentary was screened at the Sundance Film Festival prior its worldwide release, care of Gravitas Ventures. Fox interviews customers of the Blackout Haunted House, a horror house that caters to the individual’s personal fears. Critics gave mixed reviews, praising the storytelling, why people are drawn to this scare experience, while other critics plainly say it is not scary at all. Holidays is a horror anthology, composed of 8 short films. The 8 shorts are written and directed by various directors based on different special occasions. Part 1 Valentine’s Day is by Kevin Kolsch and Dennis Widmyer. Part 2 St. Patrick’s Day and Part 3 Easter are by Gary Shore and Nicholas McCarthy respectively. Sarah Adina Smith writes and helms Part 4 Mother’s Day, while Part 5 Father’s Day is from Anthony Scott Burns. Parts 6 Halloween and 7 Christmas are from Kevin Smith and Scott Stewart. And the last one is about New Year’s Eve is from the screenplay of Kevin Kolsch and Dennis Widmyer, under the direction of Adam Egypt Mortimer. It came out at the Tribeca Film Festival, and was later released via video on demand. Vertical Entertainment and XYZ Films distribute the film worldwide. From director Phil Joanou and writer Robert Ben Garant come The Veil, a supernatural horror film. Jessica Alba, Lily Rabe, and Thomas Jane headline. Jason Blum and Garant produce the film; Blum producing it through his own production company, Blumhouse Productions. It was produced with a budget of USD 4 million. It was given an R-rating by the MPAA. The Veil was supposed to be shot as a found footage film but the production team felt that it was a dying trend, Garant re-worked the script. Universal Pictures distributed the film in the US via video on demand and Netflix. The following month, the film became available on home media formats. 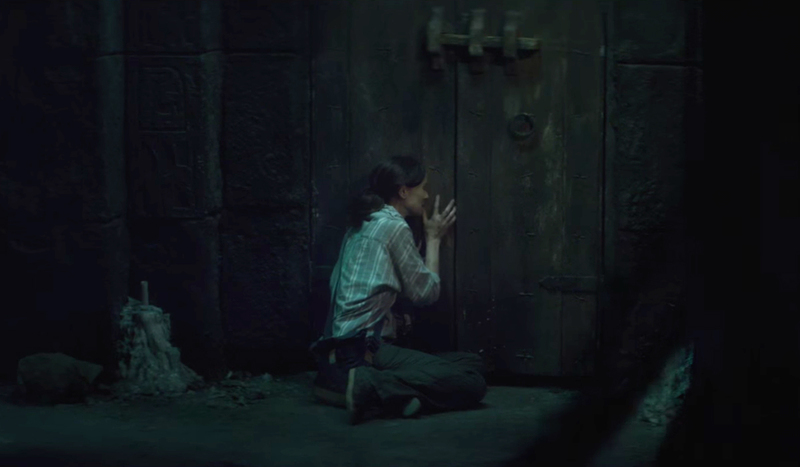 From the screenplay of Johannes Roberts and Ernest Riera, Roberts helms the supernatural horror movie, The Other Side of the Door. Sarah Wayne Callies, of Walking Dead fame, leads the cast. With a budget of USD 5 million, it was one of Fox International’s blockbuster hits earning USD 14.3 million worldwide. The movie was only set to be screened at 546 locations but after earning USD 1.2 million on its opening, its theatrical run was expanded internationally. Critics praised Callies’ performance but felt the movie lacked in serious scare tactics and became predictable. Marcus Dunstan co-writes and directs this horror thriller entitled The Neighbor. Patrick Melton co-writes the horror thriller along with Dunstan. Produced by Fortress Features and the Salt Company International, it stars Josh Stewart in the lead. This is the 3rd collaboration between Dunstan and Stewart who both worked on The Collector and The Collection. It earned an R-rating from the MPAA because of its language, sexual content, and violence. It grossed less than USD 200,000 worldwide, including home video sales. Don Coscarelli co-writes the last installment to the Phantasm franchise, but Coscarelli gives the helm to co-writer Dan Hartman. Coscarelli sits as the film’s producer. This was the only one in the franchise not directed by Coscarelli. 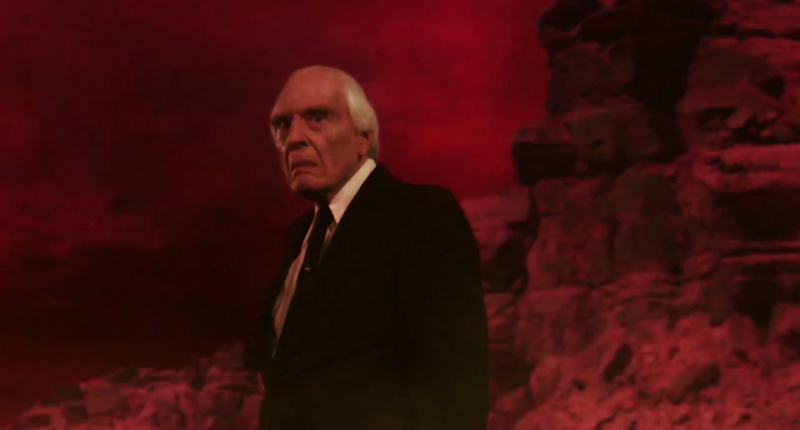 This is also the final appearance of Angus Scrimm as the “malevolent undertaker.” Actor A. Michael Pearson reprises his role as Mike Pearson. The horror flick was distributed by Well Go Entertainment. Talks about the fifth installment came out as early as 2004. Fans and reporters bugged Coscarelli about it. In 2012, rumors began circulating again and Coscarelli denied such. Apparently, filming was done from 2012 to 2013. It became official, when in 2014, news and a teaser trailer was released for Ravager. It was first screened at the Austin Fantastic Fest in September 2016. Its theatrical release followed a month later. Mike Flanagan teams up again with Jeff Howard in writing the screenplay for Ouija: Origin of Evil, a supernatural horror flick, which he directs. Allspark Productions, Blumhouse Productions, Hasbro Studios, and Platinum Dunes produced the film for USD 12 million. It became a blockbuster earning USD 81.7 million. It was distributed by Universal Pictures in October 2016. Though its predecessor, Ouija, was a commercial success, critics lambasted it for its production and story. Producer Jason Blum wanted to redeem himself and worked with Flanagan to come up with a proper sequel. 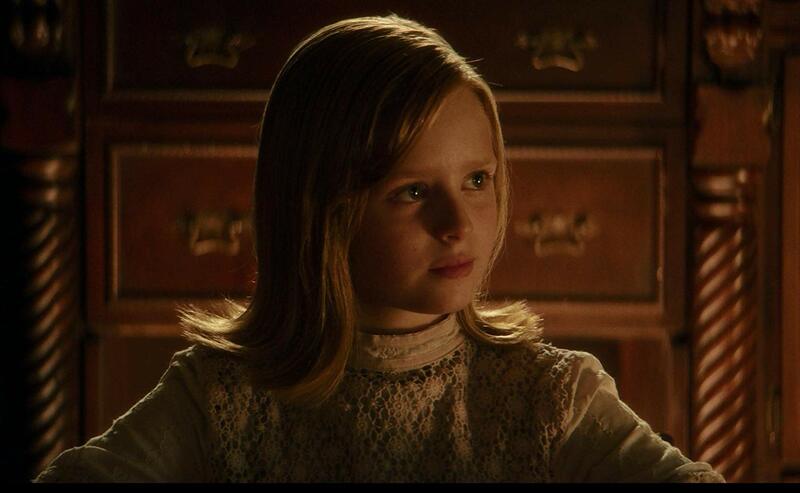 Ouija: Origin of Evil works as the prequel to the original and it was well received by critics. The atmospheric feel, the cast’s performance, and the thrills were all praised by critics. Icelander Erlingur Ottar Thoroddsen writes and directs his horror slasher film, Child Eater. It was based on Thoroddsen’s short film of the same name, which was funded via Kickstarter. It first premiered at the Brooklyn Horror Film Festival before its release in Iceland. It then went on to be screened at various film festivals around the world before its release in the US via video on demand and DVD. The film garnered generally positive reviews. 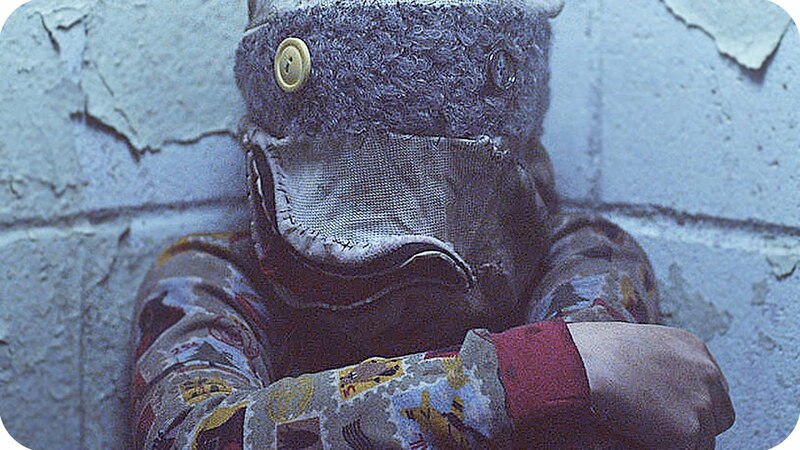 It was considered good for a low budget film and the monster was very scary and convincing. However, Cait Bliss’ performance as a fierce protector was not convincing. Written and directed by Todd Nunes, All Through the House, is horror slasher movie set during Christmas. It stars Nunes’ sister Ashley Mary Nunez, Jessica Cameron, and Jennifer Wenger in the lead. Produced by the Readmond Company, the production received many nominations and awards from the RIP Film Festival, where it won Best Slasher, Best Editing, and the Audience Choice Award. Gravitas Ventures handled the film’s distribution on theaters, iTunes, and video on demand. It also received positive reviews from critics lauding its balance of holiday gore and horror. Bryan Bertino, of The Strangers fame, writes and directs The Monster, an American horror film. It was produced by Atlas Independent and Unbroken Pictures with USD 2.7 million. It was distributed by A24 in the US for a limited theatrical run, where it grossed USD 62,953. It also came out at the Beyond Fest, the Tacoma Film Festival, and Sitges Film Festival. It was released through DirecTV Cinema prior its theatrical run. Its title was originally There are Monsters but it was changed to The Monster after principal photography ended. 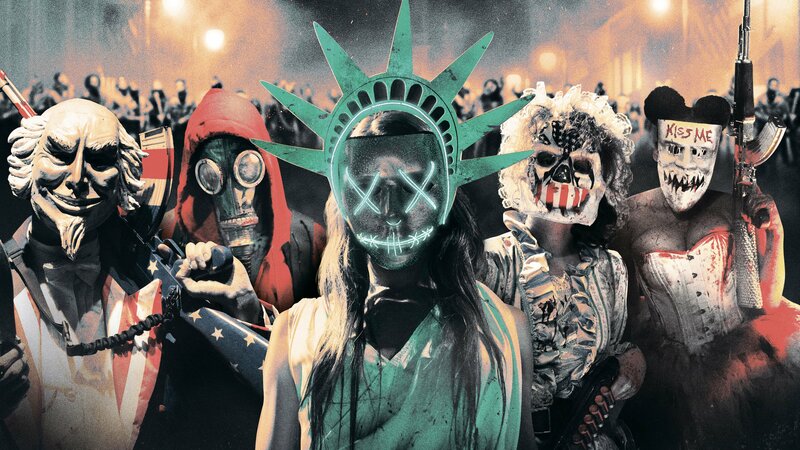 James DeMonaco writes and directs the third installment to The Purge franchise. The Purge: Election Year follows the story of the previous movies. Michael Bay serves as one of the film’s producers. From a budget of USD 10 million, it made a killing at the box office, grossing USD 118.6 million. It was distributed by Universal Pictures. Frank Grillo reprises his role as Charlie Roan, from The Purge: Anarchy. Nathan Whitehead also joins the 3rd installment, having done the musical score for the previous 2 films. For his directorial debut, Nicolas Pesce directs, writes, and edits this black-and-white horror flick entitled The Eyes of My Mother. Produced by Borderline Presents and Tandem Pictures, it was distributed by Magnet Releasing in the US. It grossed USD 27,539 from its limited theatrical run. It is available on iTunes, Amazon Video, and cable on demand, including Netflix. It was shown at the Sundance Film Festival and received mixed feedback from viewers. This chilling black-and-white was lauded by critics for its haunting feel, and it reverberates in your mind long after you have seen the movie. 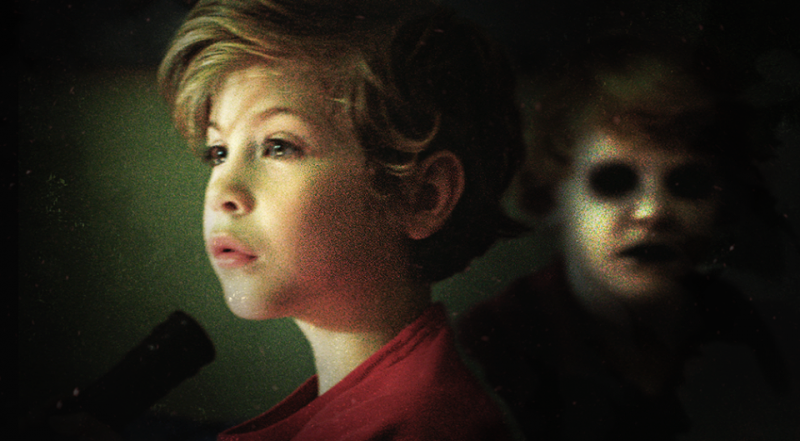 Mike Flanagan edits, co-writes, and directs the horror drama flick, Before I Wake. Jeff Howard co-writes the screenplay with Flanagan. It was produced by Intrepid Pictures, Demarest Films, and Mica Films, it earned USD 3.3 million at the box office. Netflix handled the distribution. The film was originally entitled Somnia but was changed to Before I Wake by the producers, much to to the chagrin of Flanagan. The horror drama was first premiered at the Fantasia International Film Festival in July 2016, care of Relativity Media. Netflix released the movie worldwide in April 2017, except the US. The production encountered many delays in the release schedule because of issues of Relativity Media, which bought the rights to distribute it in the US. From the original release date of May 8, 2015 in the US, it was finally released on January 5, 2018 by Netflix. Babak Anvari presents Under the Shadow for his directorial debut. This Persian horror film, written by Anvari as well, was produced by Wigwam Films. It came out at the Sundance Film Festival in 2016 and was bought by Netflix soon after. It was submitted as the UK’s entry to the Academy Awards for Best Foreign Language Film but did not make the cut. It only earned USD 126,642 at the box office with its limited release. 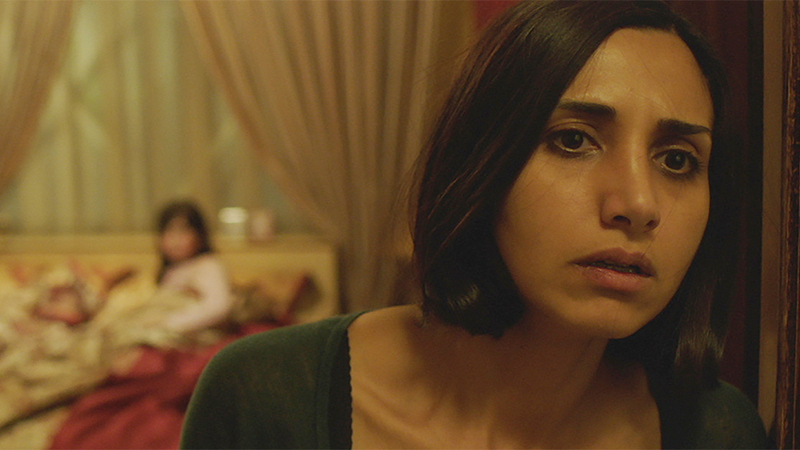 Despite its dismal box office returns, it was lauded by critics for Anvari’s direction and lead actor Narges Rashidi’s performance. It was tagged as Certified Fresh by Rotten Tomatoes. It was bagged the H.R. Giger Narcisse prize for Best Movie at the Neuchatel’s International Fantastic Film Festival. 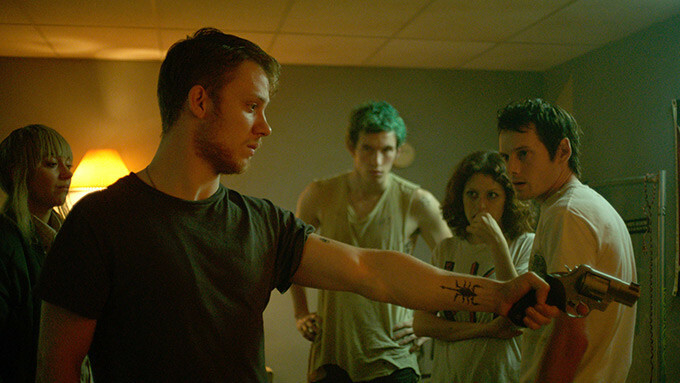 From the director of Blue Ruin, Jeremy Saulnier returns with another horror called Green Room. It stars Patrick Stewart, Imogen Potts, and Anton Yelchin in his last film. Produced by Broad Green Pictures, it was previewed at the Cannes Film Festival and at the Toronto International Film Festival, where it came third place in the Grolsch People’s Choice Midnight Madness Award. It was supposed to go on a limited theatrical run until A24 picked it up and distributed it worldwide. Unfortunately, it only earned USD 3.8 million against its USD 5 million budget. Child actress Sennia Nanua shines in Colm McCarthy’s The Girl with all the Gifts. 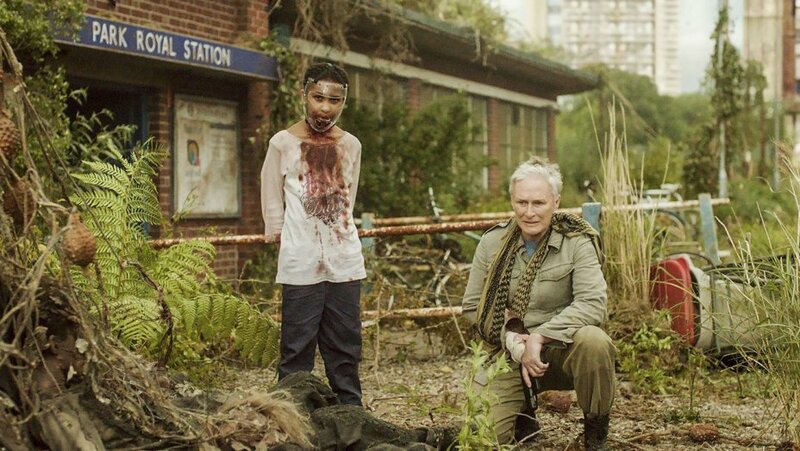 Gemma Arterton, Paddy Considine, and Glenn Close also star in this zombie horror drama. Produced by Altitude Film Sales, BFI Film Fund, and Poison Chef for USD 5.2 million, and distributed by Warner Bros. Pictures in the UK and Saban Films in the US, it grossed USD 2.3 million at the box office. Written by Mike Carey, it was based on his novel of the same name. McCarthy was lauded for his directing, giving the film a fresh take from the run-of-the-mill zombie apocalypse themes. Husband and wife Mike Flanagan and Kate Siegel pen the slasher film that is Hush, under the direction of Flanagan. Siegel also stars as the lead character of the film. It came out at the South by Southwest prior to its release. Netflix handled the film’s distribution. Blumhouse Productions and Intrepid Pictures put up USD 1 million for this slasher film. Flanagan originally toyed with the idea of coming up with a silent horror film but realized the impossibility of building up the thrills and scares without any auditory stimuli. Critics appreciated the film’s suspenseful scenes and the cast’s performance. However, some critics felt the last part of the film was a mash-up of previous Blumhouse films. Norwegian screenwriter and director Andre Ovredal offers The Autopsy of Jane Doe as his first English language film. Ovredal is known for his found footage horror thrillers. The supernatural horror flick was screened at the Toronto International Film Festival prior its theatrical release. Ian Goldberg and Richard Naing wrote the screenplay. It earned USD 6 million at the box office. IM Global, 42, and Imposter Pictures produced the film, and was distributed by IFC Midnight. Critics praised the film for its enigmatic, thrilling, and creepy feel. Even well-known American horror writer Stephen King praised the film. Patrick Wilson and Vera Farmiga reprise their roles as Ed and Lorraine Warren in this third installment in the Conjuring series. James Wan also returns on the helm for this supernatural horror flick. He co-writes the screenplay with Chad Hayes and Carey W. Hayes, both of whom worked with him on the original, and David Leslie Johnson joins the team as well. New Line Cinema, The Safran Company, and Atomic Monster Productions coughs up USD 40 million to produce the film. It was a blockbuster hit, raking in 320.4 million. 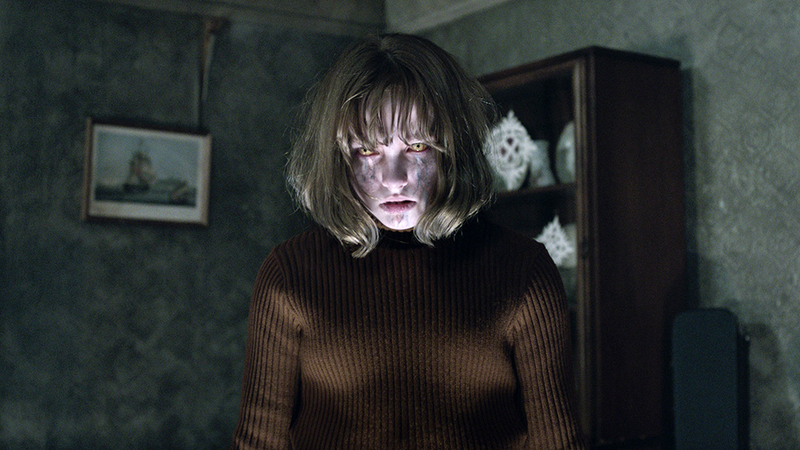 As early as July 2013, before the original was even released, a sequel was already in the works for New Line Cinema given the positive feedback from The Conjuring’s test screenings. Uruguayan filmmaker Federico Alvarez, of Evil Dead fame, helms Don’t Breathe, a horror movie that came out in 2016. He co-writes the screenplay with Rodo Sayagues. Screen Gems and Stage 6 Films distribute the film to the delight of critics and viewers alike. It grossed USD 157 million at the box office, from a budget of USD 9.9 million. Alvarez said that Don’t Breathe is his response to naysayers of Evil Dead, who said it was all blood and gore and lacked originality. Don’t Breathe is exactly the opposite, with Alvarez focusing on the original storyline, less bloody, but scarier. Much of the scenes were shot in Hungary, though the setting is supposedly Detroit. From the script of Park Joo-suk, director Yeon Sang-ho delivers a zombie horror film, Train to Busan (Korean name: Busanhaeng). Gong Yoo, Jung Yu-mi, and Ma Dong-seok lead the cast. It was screened at the Cannes Film Festival prior to its theatrical run. It was produced by Next Entertainment World and RedPeter Film, and was distributed by the former. It is the first Korean film to reach 10 million moviegoers. It raked in USD 99 million dollars worldwide. It was also released in Malaysia, Hong Kong, and Singapore. Not only was it well received at the box office, it garnered positive feedback from critics and was nominated for its cast’s performance and production value. It won for itself the Audience Choice Award for Most Popular Film from the Blue Dragon Awards and the Special Audience Award from the Chunsa Film Awards. Garance Marillier stars in Julia Docournau’s horror drama Raw. After its screening at the Cannes Film Festival, this French-Belgian flick (French title Grave) came out in the US and in France, courtesy of Focus World and Wild Bunch, respectively. Docournau’s direction was celebrated but some were put off by the graphic content of the film. The film just broke even at the box office, earning USD 3.3 million against its USD 3.8 budget. From the screenplay and direction of Na Hong-jin comes The Wailing (Korean name: Gokseong), a Korean horror film. It was produced by Side Mirror and Fox International Production Korea, it earned USD 51.3 million at the box office. The film came out in Korean and in Japanese. It was released in South Korea and in the US in May 2016. In between, it was featured during the Cannes Film Festival, out of competition. Not only was The Wailing a blockbuster, it received many nominations and awards from various award-giving bodies. Karyn Kusama helms the horror thriller The Invitation, a horror thriller film written by Phil Hay and Matt Manfredi. The Invitation is from Gamechanger Films, Lege Artis, and XYZ Films. It was produced for USD 1 million but only earned USD 354,835 from its limited theatrical run. Drafthouse Films distributed the horror flick via video on demand. There was an initial announcement that big name stars like Luke Wilson, Zachary Quinto, Topher Grace, and Johnny Galecki would be in the cast but, later on, production finished with none of them in the roster. The film was first screened at the South by Southwest in march 2015, then at the London Film Festival in october 2015. In April 2016, the film made it to the big screen. So that was our round-up of the best 2016 Horror Movies. Do you agree or disagree? Let us know!